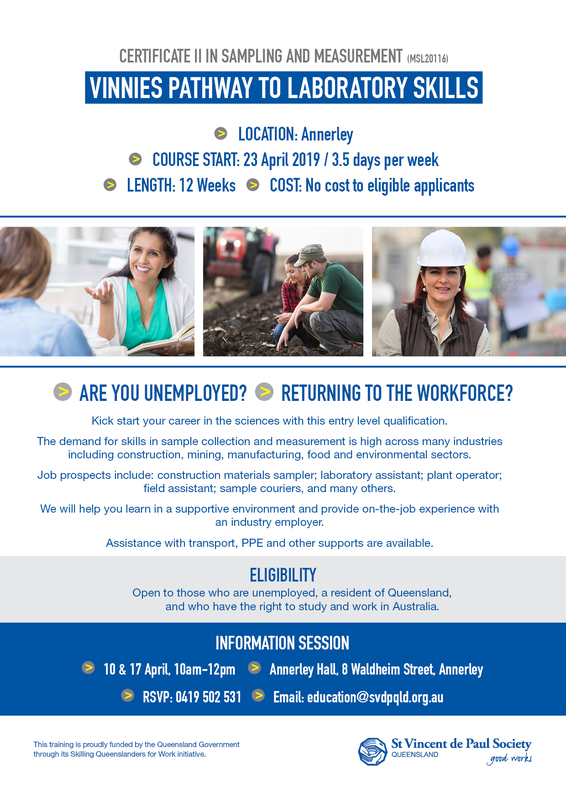 Skilling Queenslanders for Work delivers courses in a supported learning environment where participants can access individual support tailored to their learning needs. Support includes classroom assistance to assist students in completing the qualification, real world work placement, combined with job readiness and assistance entering employment beyond the course. 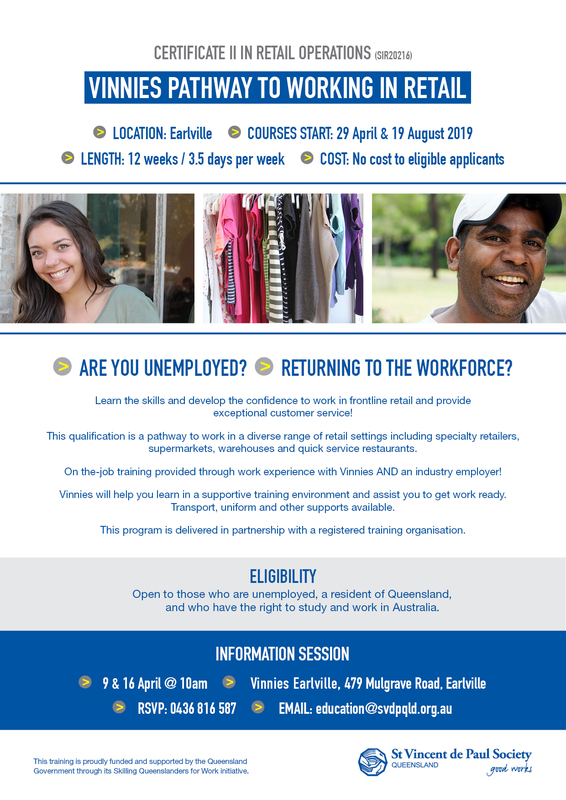 The program provides training to people who are unemployed, or under-employed in the labour market, as well as building the skills of young people, Aboriginal and Torres Strait Islander people, people with disability, mature-age job seekers, parents re-entering the workforce, and people from culturally and linguistically diverse backgrounds, including asylum seekers and refugees. (Other eligibility rules apply). Our training model combines weekly face-to-face training sessions with a Registered Training Organisation, hard copy resources and one-on-one support with a Vinnies Case Worker. Course duration depends upon the qualification undertaken and can range from 10 weeks up to 28 weeks with an average of three contact days per week. Through the support of the Queensland State Government, we are able to offer the program at no cost to eligible participants. Develop the skills and confidence to work in a commercial laboratory in the food safety, construction, manufacturing, resources and environmental industry sectors. Learn in a supportive training environment and on-the-job through work experience with an industry employer! Learn the skills and develop the confidence to work in frontline retail and provide exceptional customer service. On the-job training provided through work experience at a Vinnies shop and with an industry employer! Vinnies Education Services will help you learn in a supportive training environment and assist you to get work ready. This program is delivered in partnership with a registered training organisation. 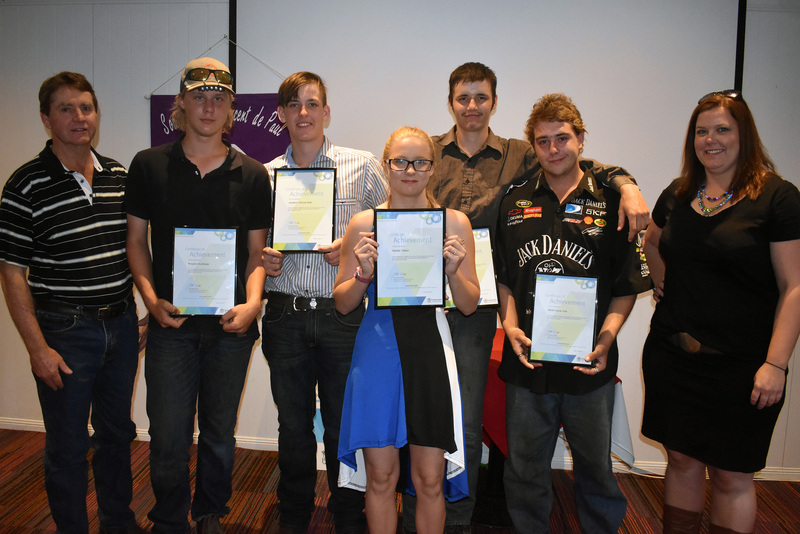 In late 2017, Vinnies celebrated the graduation of 7 young people from the Roma Get Set for Work program who completed a Certificate 2 in Rural Operations. This was celebrated with a small ceremony in Roma attended by the students and their family and friends. We wish the students all the best in their future employment and education journey. Are you interested in undertaking accredited training with us and want to know if you are eligible? Contact 07 3010 1083 or email education@svdpqld.org.au to register an expression of interest. To find out more about Education Services, including volunteering and sponsoring opportunities, please email education@svdpqld.org.au.